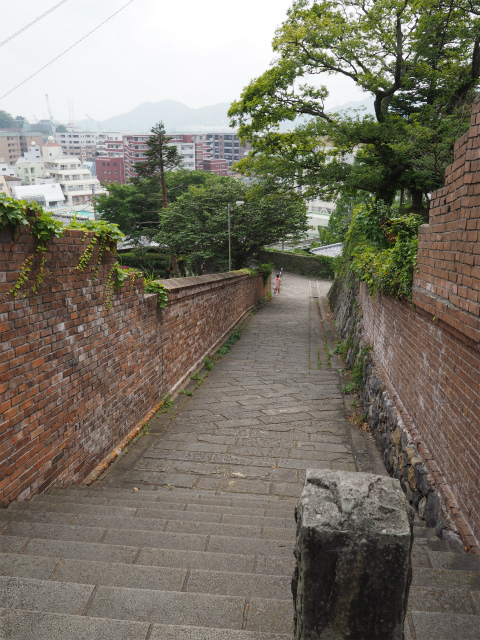 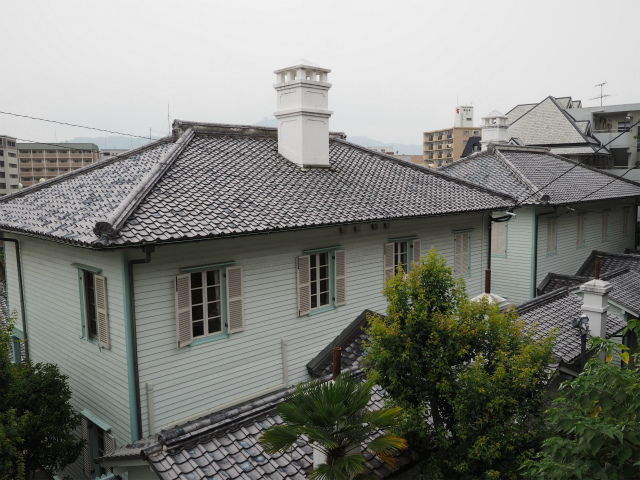 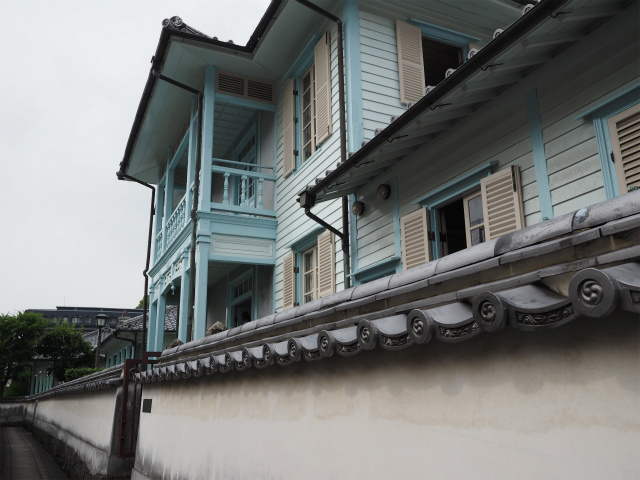 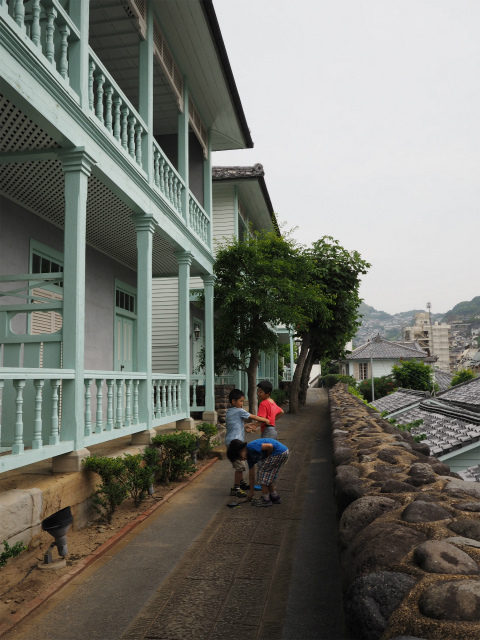 The district is part of the former European Quarter of Nagasaki which took shape after the opening of Nagasaki, Yokohama, and Hakodate as ports for foreign trade in 1859. 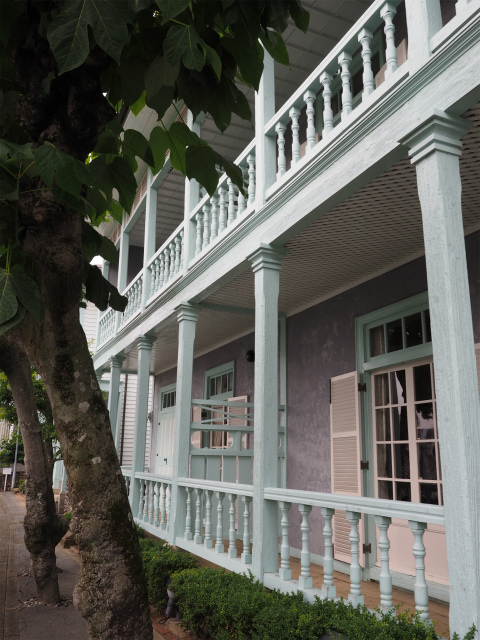 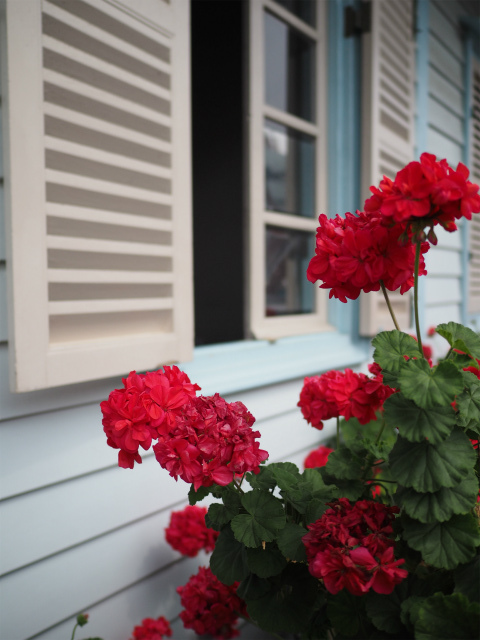 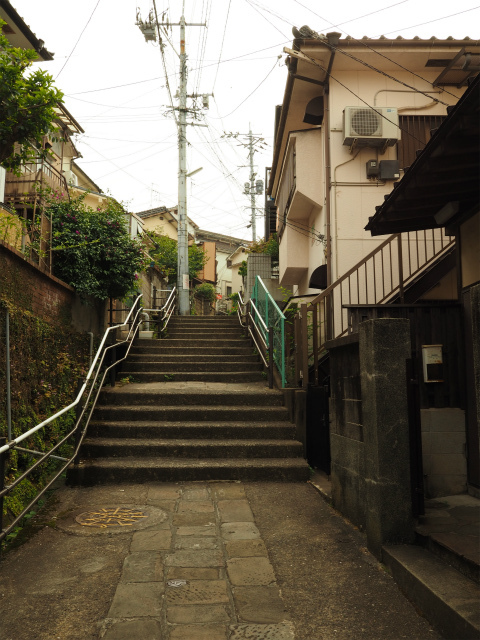 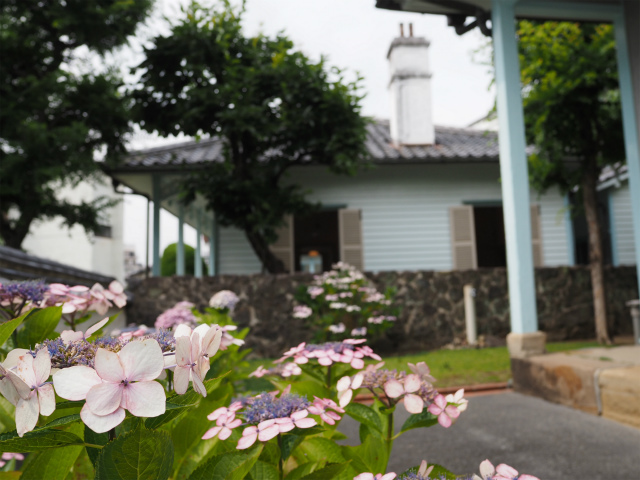 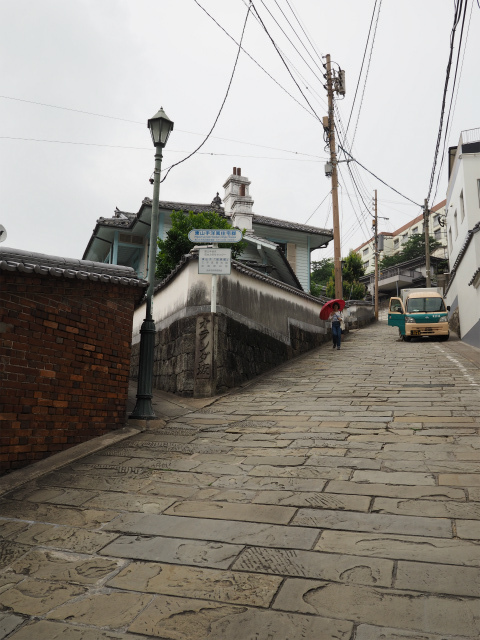 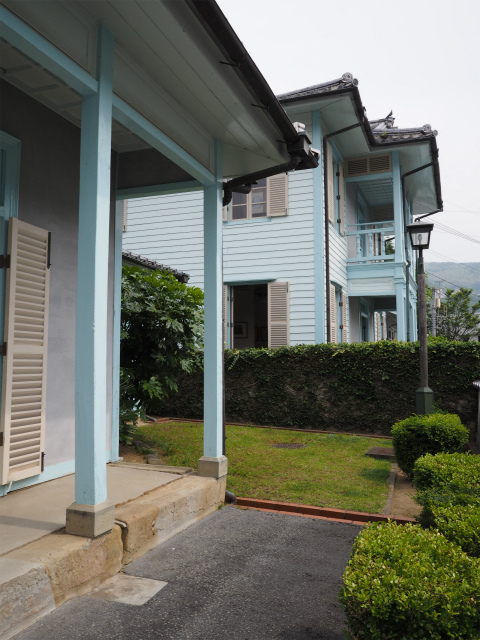 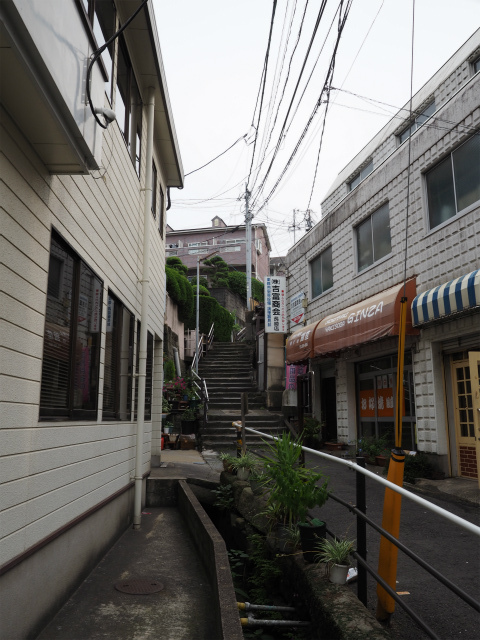 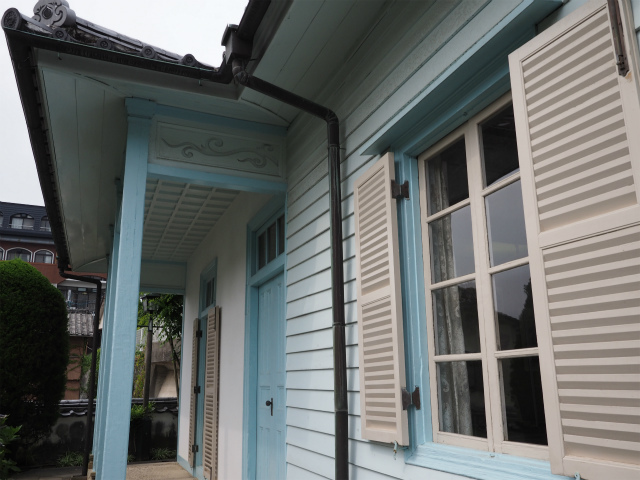 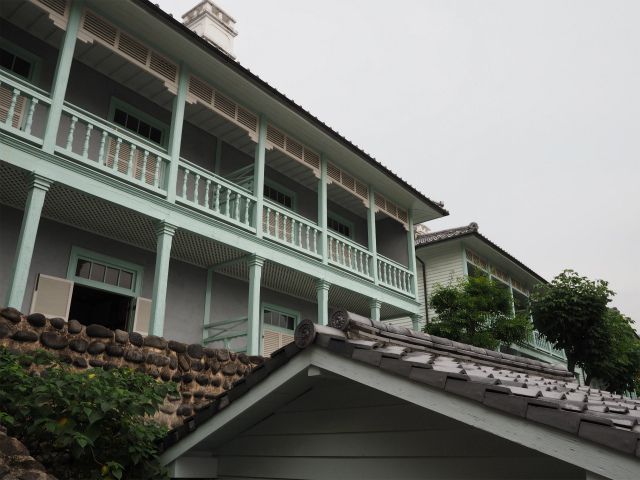 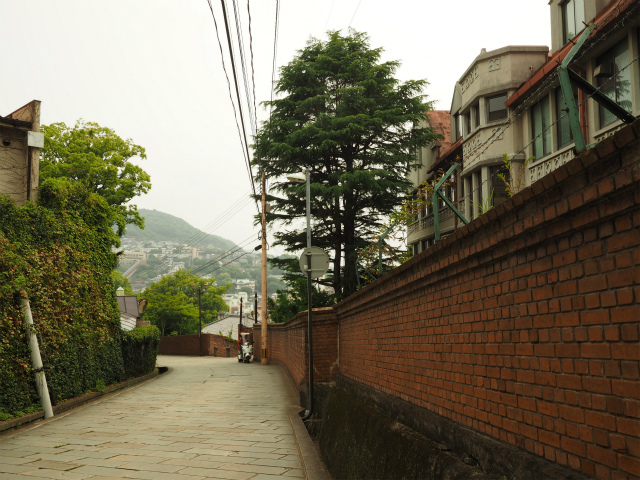 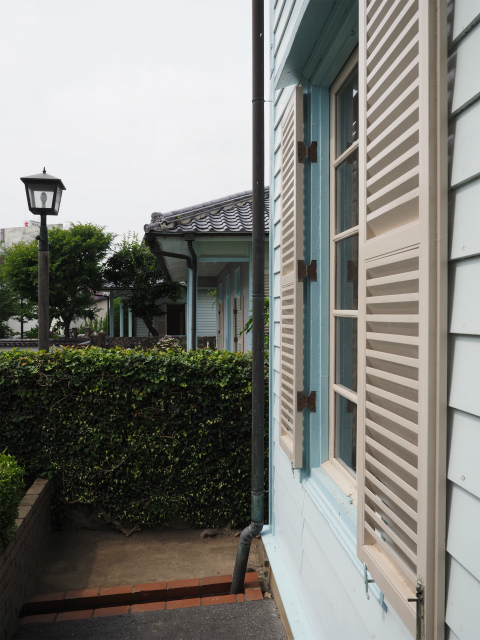 Located on the hillside overlooking the business offices of Oura and the harbor, Higashiyamate was called “Consulate Hill” because it was the site of the Portuguese and Prussian consulates as well as churches, houses, and other structures. 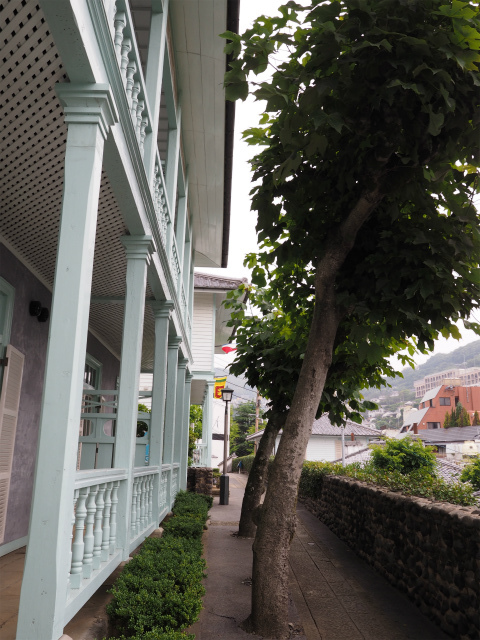 The historic atmosphere is preserved today in the old Western-style buildings and in the flagstone pavement, stone embarkments, gutters, brick walls and towering trees remaining form the years of the European Quarter. 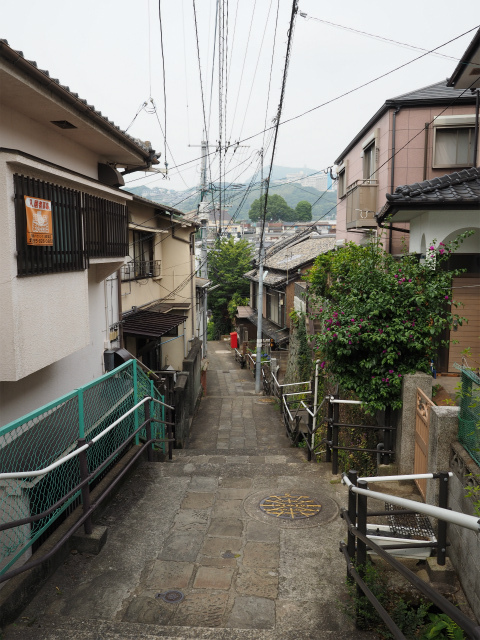 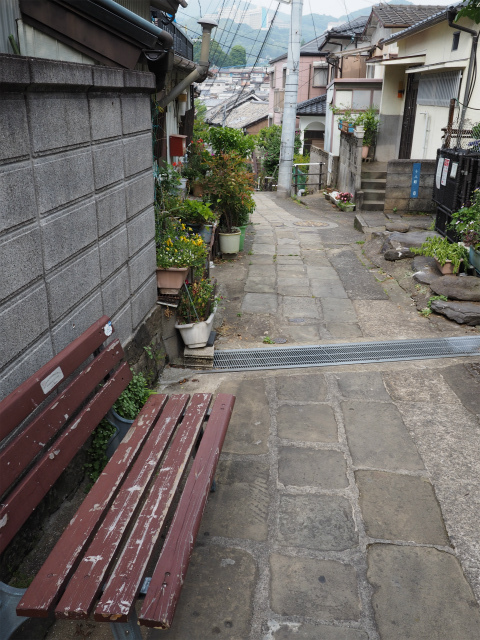 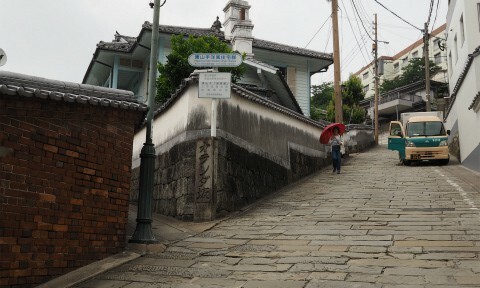 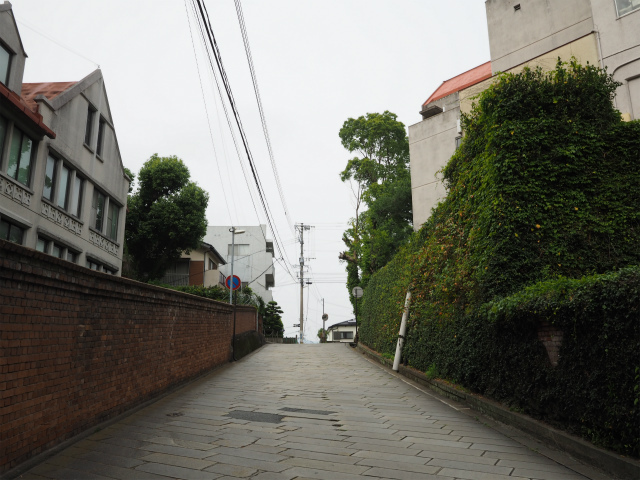 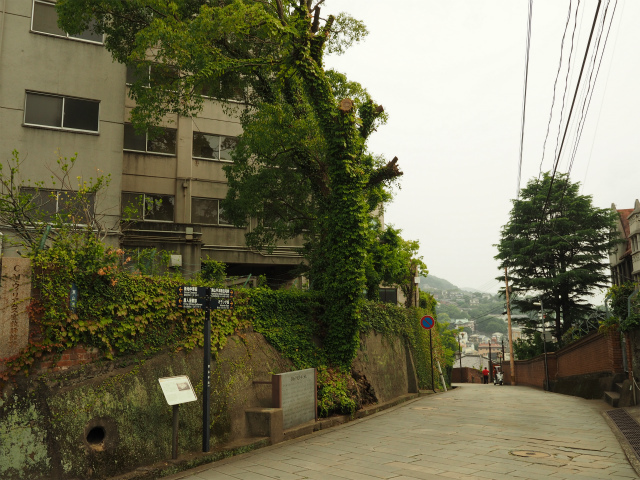 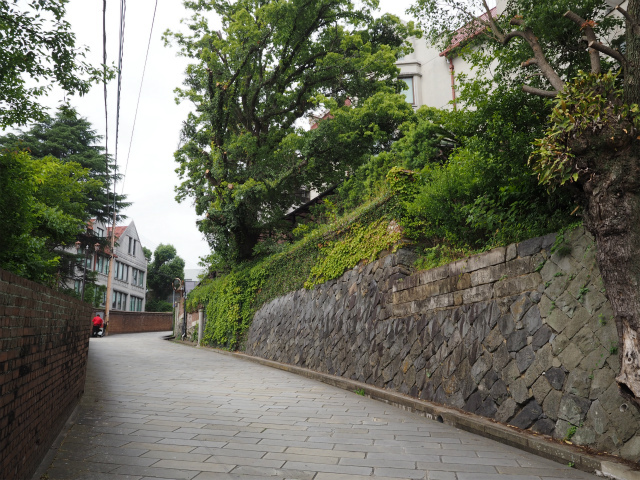 This road was built for people visiting Kanon-ji Temple.